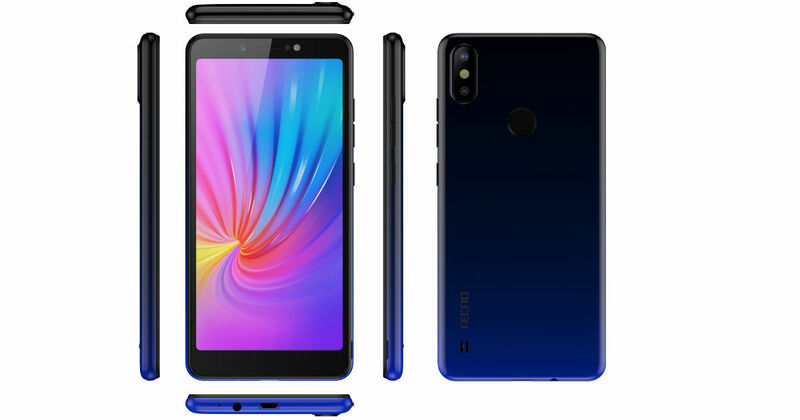 Transsion Holdings-owned offline smartphone brand Tecno has announced two new handsets in India dubbed CAMON iACE2x and CAMON iACE2. Both smartphones are priced in the sub-8K segment and come with features such as 3GB RAM, 8MP AI selfie camera and gradient colour finish. The CAMON iACE2x is the more premium of the two and therefore offers an extra gradient colour (Nebula black) in addition to the Midnight black, Champagne Gold and City Blue variants of CAMON iACE2, and ships with 3GB of RAM instead of 2GB. Apart from this, both devices are more or less the same, with both sporting a 5.5-inch HD+ Full View display with 18:9 aspect ratio and 80.5 percent screen-to-body ratio. Tecno has made use of the Helio A22 64-bit quad-core processor clocked at 2.0GHz for both smartphones, which is paired with either 2GB or 3GB of RAM for iACE2 and iACE2x, respectively. The phones come with 32GB of storage onboard, which is expandable up to 128GB via a microSD card. In terms of optics, both devices carry 13MP AI rear sensors with f/1.8 aperture and dual LED flash, plus an 8MP front camera with f/2.0 aperture and front flash. Additional software features include AI Auto Scene Detection and Bokeh mode among others. The Tecno CAMON iACE2x and CAMON iACE2 run on 3,050mAh batteries. The phones offer dual-SIM capabilities and come with AI Face Unlock, along with rear-mounted fingerprint reader for security. On the software side of things, the phones run Android Oreo 8.1-based HiOS 4.1 operating system. Speaking about the launch, Mr. Arijeet Talapatra, CEO, Transsion India said, “The new CAMON iACE series have created a powerful fusion of style and technology with exhaustive specs in every dimension of design, performance, and user experience. It is a future-ready budget smartphone that comes loaded with meaningful innovations such as anti-oil fingerprint, bigger RAM storage, intelligent camera kit, new gradient colour, and localised free back panel, which make it one of the best ‘All-rounder champion’ phone in sub 8k category.” CAMON iACE2x is priced at Rs 7,599, while CAMON iACE2 is currently retailing at Rs 6,699. Plus the company is offering 1-time screen replacement, 100-days free replacement, and 1-month extended warranty with each purchase.